Wood-paneled walls, a stained carpet that had seen better days, an unreliable AC unit, a nondescript painting above the bed, lamps with retro (but not in a cool way) lampshades on matching bedside tables, old paper plates and cups strewn across nearly every available surface. The set of “Bug” alone, designed by David Baker, was likely enough to make the audience feel a little dirty. 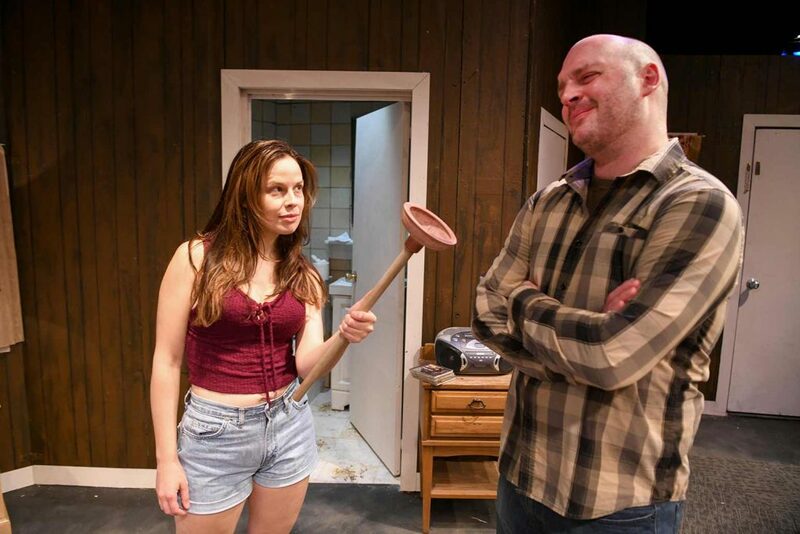 Set in a seedy motel room, “Bug,” by playwright/actor Tracy Letts, centers on cocktail waitress Agnes White (Josephine Keefe), who is hiding from her abusive ex-husband Jerry Goss (Billy Hultquist). 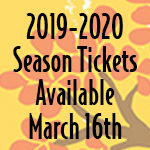 “Bug” is directed by Marianne McLaughlin and also features Matt Rindge, making his Spokane Civic Theatre debut as Dr. Sweet. In times of sweetness and of paranoia, Keefe and Anderson made the perfect pair. Rather than go from zero to 100 in just a few scenes, the pair fed off each other’s energy and let their characters’ delusions build slowly over the course of the play until they reached a believably explosive conclusion. Evans, who was in the beginning a soft-spoken guy who was only there at RC’s behest, became incredibly headstrong, doing what he could to make White see things as he did. White, who originally questioned Evans’ out-there ideas, eventually met, then practically surpassed his paranoia. But the pair also connected in quieter moments, swapping stories of their broken pasts. Smaller characters provided a nice contrast to the pair’s shared delusions. Jones and Keefe sweetly showed the depth of RC and White’s friendship, talking over one another in a drug-induced giddiness near the top of the show, and you could feel the confusion, frustration and heartbreak Jones put into her final look at White, then past the point of saving. Hultquist’s sneers and snide remarks made me hate Goss as soon as he stepped onstage (Keefe shook like a leaf whenever he was near), and Rindge was great as the level-headed Dr. Sweet, who tried to reason with White. Baker’s fantastic set did a lot to bring the seedy atmosphere to life, but so too did McLaughlin’s decision to play with sound. Throughout the play audiences heard the traffic passing the motel, ringing telephones, helicopters overhead, the AC unit, the music White and Evans played, a faulty smoke detector and more, all of which added to the slightly claustrophobic feel of the set and to White and Evans’ delusions. There were a couple instances during which an extra set of hands helping Keefe and Anderson decorate the set for a new scene would have sped things up a bit, but the delays didn’t detract from the action once the lights came back up. A show like “Bug,” where the actors spend so much time picking at their skin and running maniacally around the set, has the potential to be a little silly and over the top, but the sincerity Keefe and Anderson brought to their roles likely made more than a few audience members absentmindedly pick at their own arms as they left the theater.